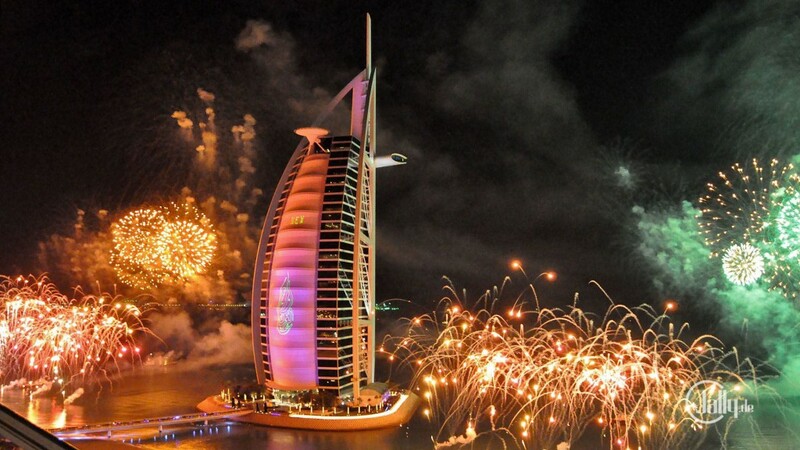 If you wish to celebrate the New Year in style, there is no better place than the splendid Dubai. Dubai, with its extravagant arrangements is a place that can accommodate millions of visitors every year. The dazzle, performance, live bands, celebrities bring an unparalleled aura to the parties which cannot be matched by any other host. With a grand display of fireworks that becomes the talk of the town every passing year, it is time you ring in the New Year in the city of sand for a never before experience. Atlantis Royal Gala: If being part of the biggest New Year celebration event is on your agenda, look no further than the Atlantis Royal Gala. 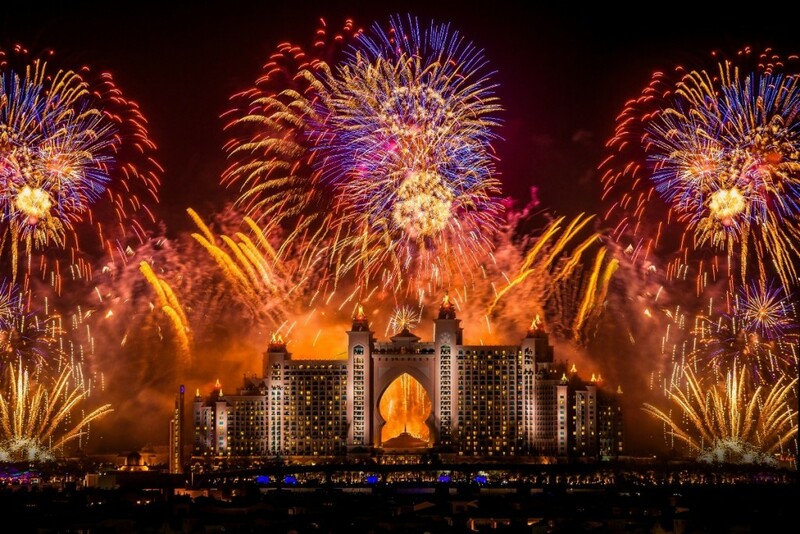 The Atlantis has a reputation to hold the most exclusive and extravagant New Year’s Party Eve in Dubai. If you have a penchant for live music, great food, drinks and via for an extraordinary ambiance, ensure that you have a place reserved at this gala. With a huge live band to entertain the guests till the morning wee hours, a grandeur spread of one of the most choicest cuisines, unlimited drinks and champagne and a fantastic view of the Dubai skyline, makes this place a must on your list to welcome the New Year in a grand panache. Downtown Dubai: The New Year’s Eve celebration at Downtown Dubai is one of the most famous parties arranged by Emaar properties. It displays some spectacular performances of dance and choreographed music to kick start the event. 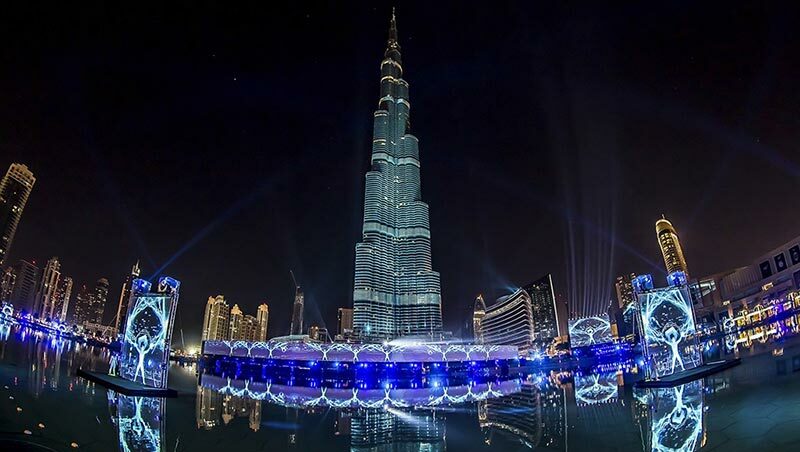 One of the major highlights of the event is the musical performance executed on the Burj Steps of the tallest building of the world, the Burj Khalifa. The gala held on the Burj Lake is another sought after event. The most lucrative performance that raises the standard of the event bringing in a once is a lifetime experience for the audience is the fire, light and water show backed by a 210 meter long projection screen that absorbs the entire event to a larger audience. 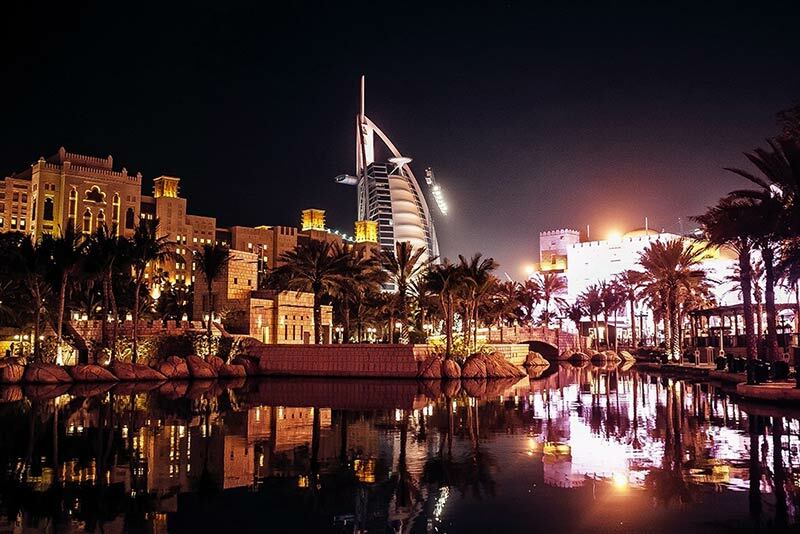 Midanat Jumeirah: Enjoy a dazzling New Year’s Eve with an assortment of cuisines at Madinat Jumeirah. The venue is famous for boasting a gala dinner on New Year’s Eve with live entertainment, musicians, fire dancers and free-flowing drinks with an extravagant feast. It is difficult to get a parking space even on weekends, so ensure that you reach the venue in advance to start the year on a good note. Meydan Celebrations on New Year’s Eve: If you wish to jive in the music rendered by the world’s greatest list of pop stars and witness a spectacular New Year celebration in the entire Middle Eastern countries, this overnight party is the right place to call in the New Year celebrations. 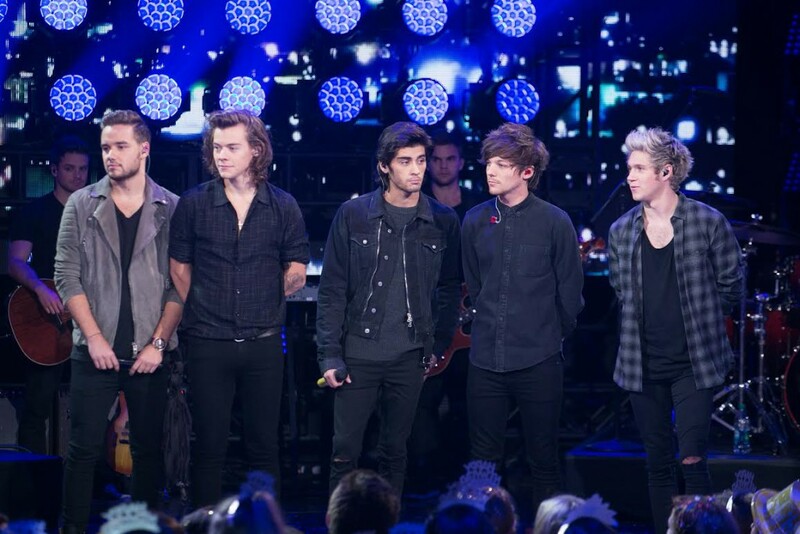 Least to say that you begin the countdown with the most famous celebrities and party with a group of hard-core music lovers. Beach Parties: Beach parties had always been in vogue during New Year’s Eve. It is one of the oldest party celebrations of Dubai. One such party is the Nasimi Beach Party. It is a one of a kind lifetime experience to be part of the New Year’s Eve party at Nasimi Beach. With pop singers of high rank, music, dance and the beach atmosphere, the whole experience leaves an imprint down the memory lane. To add to the fun, the dazzle and incredible display of fireworks only makes the fun rise. 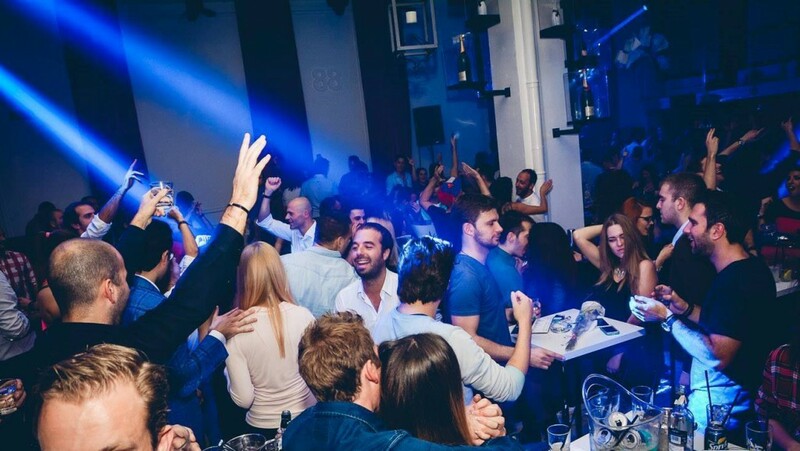 Dubai Clubs: The city of Dubai comes alive with a host of New Year’s Eve party at every famous joint. Dubai clubs which are frequented by the youth, especially on weekends, become one of the most convenient places to visit for people of all ages for its immense entertainment quotient, great food, and an electrifying crowd. For special days such as that of New Year’s Eve, there is added fun with celebrity visits and a divine spread of the best cuisines. You get an opportunity to watch the biggest fireworks of the world on the big screen while the countdown begins! Hotels and Restaurants: Like most famous places of the city, a host of hotels and restaurants have a lavish food on display to celebrate New Year’s Eve in style. So if you are the quite kind, who do not wish to indulge into wild parties or be part of a loud crowd, a quite dinner with soft music in the background can certainly do the trick for you. It is a great family outing with a sumptuous meal, talks and laughter. What better way to begin the New Year? New Year’s Eve Dubai Concert: A musical concert can prove to be most endearing for all the music lovers, especially on New Year’s Eve. Enjoy the experience of a lifetime and get booked for the year’s extravagant concert in Dubai for an evening you wish to preserve down the memory lane. With your favourite artists performing and an aura only enhances as the evening flows with great food and drinks, the experience is exhilarating. 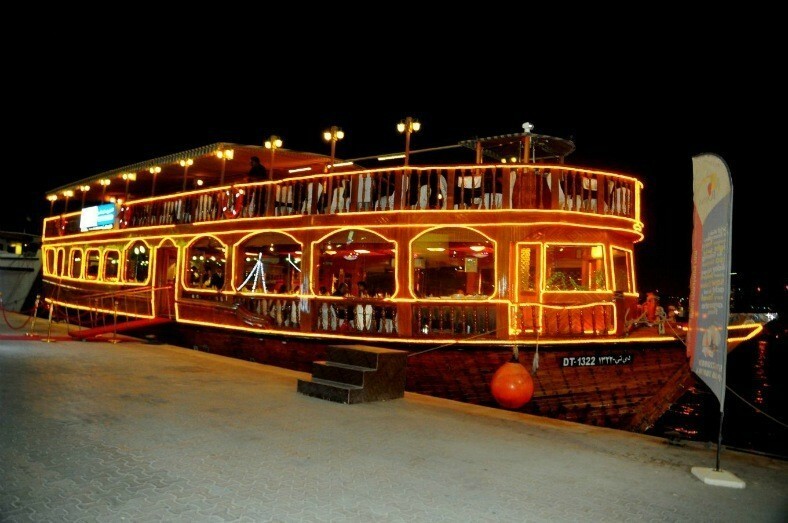 New Year Dinner Cruise: One of the best options to celebrate the New Year’s Eve with complete gusto is to charter a yacht and sail the sea with family and friends. The breath-taking display of fireworks at midnight would be an experience to watch while you sail. With the people of your choice, drinks, food, and the sea breezes can elevate the party and take it to a different level. New Year Desert Safari: New Year’s Eve desert safari can make a special event for the adventure lovers or for families with growing kids. With a great session of dune bashing backed by watching the evening sunset, and winding up with a bonfire, splendid food, traditional belly dancing, shisha sessions, in the cool desert terrain, the event calls for complete value for money and an experience that can leave you mesmerized. These are some of the best places to celebrate which also gives you some ideas to have one of the best New Year celebrations. A joyous welcome to the New Year is just a beginning for more celebrations to follow. A very happy New Year 2016!